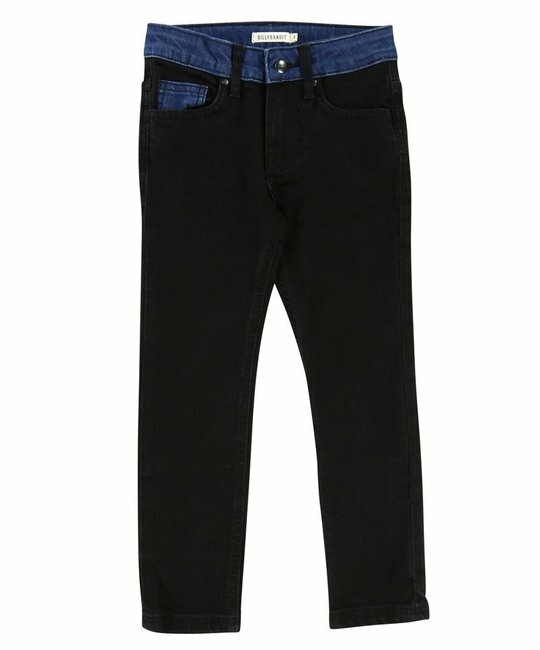 Billybandit soft stretch black denim trousers with adjustable waist finish. Slim fit. 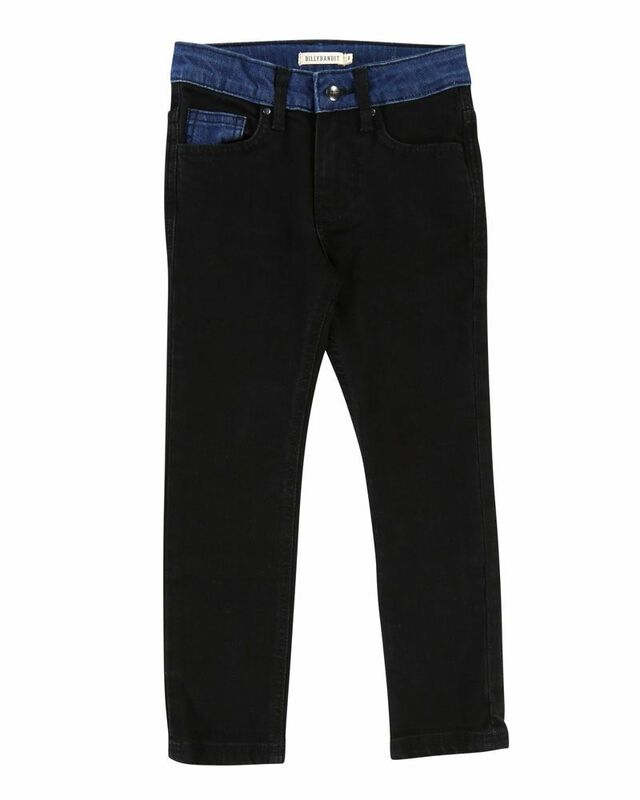 98% Cotton, 2% Elastan. Imported.